It’s a failing that I have not posted with regular frequency here as time has rushed by. The reason is simple: it is a pain-filled activity and therefore, a hard discipline to stay with. But it is vital to my survival, my well-being, and my cause that I do. Like so many others, I have striven to live in the dream that in speaking up and writing about the issue that I deeply care about above all others, some outward influence or projection of a voice for change might be heard, and even make some difference, large or small. I find this to be one of life’s necessary illusions. But mea culpa. I am not often strong enough to pursue this and fall prey to the demons of everyday life. The demons that prick and tug at left behind parents are vicious, relentless ones. They strike at odd times, in unexpected places. Every venture out into the public spaces of the city is a risky proposition where the psychic triggers of children’s voices, remembered parks, playgrounds, or any other place where children are kissed and carried, can be encountered. Yet, I know we can’t stay indoors and hide from the world. 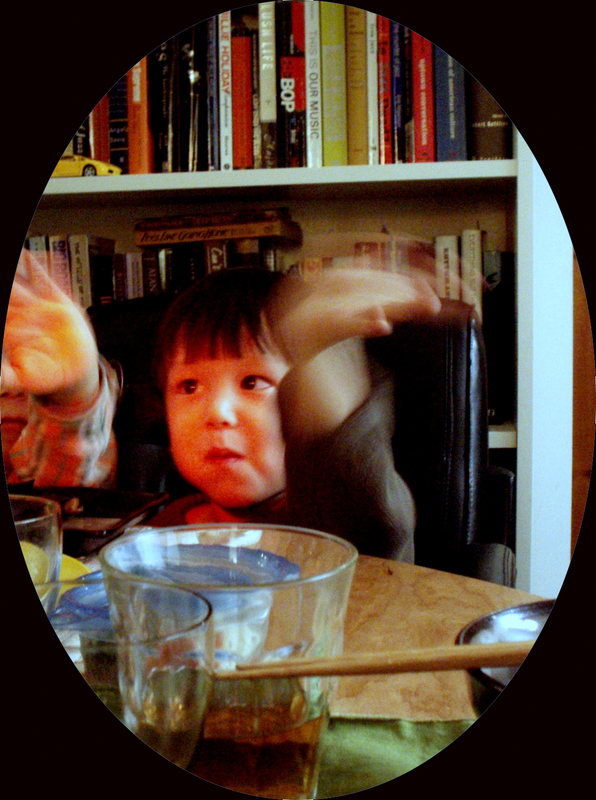 So, attempting to restore For Rui Boy and return to making this my place to signal my part in the struggle of left behind parents, I make this post a paean to ongoing love, the undying, uncanny vividness of the bond with my boy Rui, attenuated, decayed, undermined and degraded by the systemic abduction regime of Japan, the collaboration of the U.S. government with that regime, and by the mother and family who have hidden him and kept us apart through all these most-important years. Rui, never forgotten or out of mind for a day since the fraud was perpetrated, since his disappearance was plotted and engineered by Machiko Terauchi, Kensuke Ohunki and their cohort. Rui, my heart. Your photographs cover my walls. I close my eyes and see you every day. I also take inspiration and comfort from those who provide them. This seems like the right time to single out one or two special ones. My friend Bruce Gherbetti, father of three tantalizingly beautiful daughters, Rion, Lauren, and Julia, who were abducted 7 years ago, and have suffered being kept in the region surrounding the disastrously ruined Fukushima nuclear power plant since the tsunami of March, 2011 turned the soil and air toxic. Bruce knows where his children live. 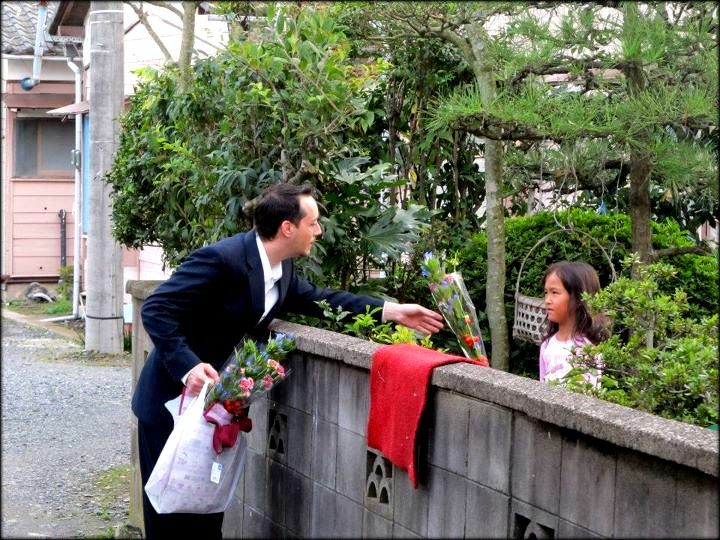 He moved to Japan to try to be near them as often as he could; to let these loved children know how deeply committed their father is to standing by and protecting them. He helped to start up an NGO called Kizuna CPR to work on Japanese parental abduction alongside John Gomez and others. But although his efforts to reconnect with the girls have been partially successful, they have also been thwarted in recent years by the girls’ mother, who has rationalized depriving them of the ardor and love their father offers them. Still, Bruce keeps hope alive by making the long trip to where his children are when he can from his current home in Australia. By showing himself at their home and asking for their company, they can know in their hearts that he is longing to see them and keep the bond alive. Bruce has inspired all left behind parents with his candid displays of love and care for his children, his sacrifices, and his unsparing generosity to fellow parents of the abducted. To me, he has provided a vital link between the worlds of the sane and struggling, and the rest, sometimes lost and dying. We both have hopes that our kids might meet one day to understand what each of them has endured, and how it will always affect them. 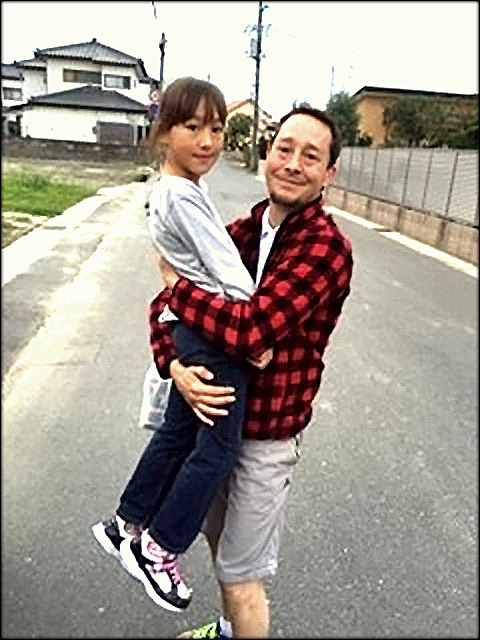 Another relentless parent, engaged in recent attempts to bring public awareness to the absurdity, the inflicted pain, and the abusive process now part of the Japanese “management” of the issue of mass parental abduction of small children, is Tim TerStege. He has a campaign named for his son which he calls Liefie is Missing with Facebook links, and numerous letter writing campaigns and public demonstrations to try to reach people, governments and news media. Most recently, Tim climbed to the top of Japan’s national-symbolic volcano, Mount Fuji, carrying banners and mementos to advertise the injustice that he and all of us are suffering. Several outlets from the Canadian news media were willing to make note of Tim’s struggle. How shameful it is that the U.S. media has not also been willing to grant us access to popular support. Only money talks in America. 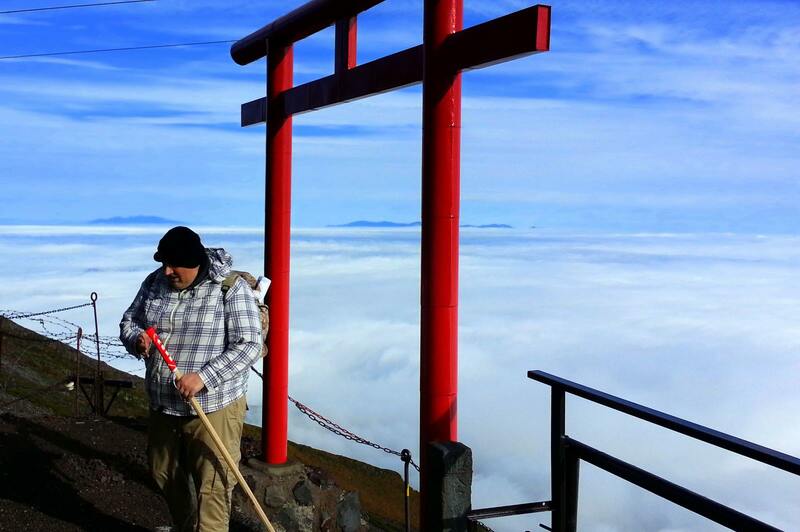 Tim Terstege climbs Fuji for Liefe. Japan has continued to make no meaningful progress towards eliminating the entrenched habit of allowing parents to abduct children, of denying meaningful ongoing relationships between divorced parents and their children to go on undisturbed by state practices and social pathology. There are committees in government, meetings with NGOs, pamphlets get published, proposals that get circulated, all of them inadequate and partial to the point where they serve only the function of infinite evasion. In the meantime, there are millions of children in Japan who are growing up under this infantile form of deprivation and falsehood. An ever growing number of kids who have no authentic relationship with and, most commonly, no ongoing knowledge at all of their parents and the struggles we suffer, longing to repair what cannot be repaired. This malicious abduction regime exists by design. It requires deep exertions on the part of the Japanese state and its partners in the U.S. Department of State to keep it going. That is what we must unfortunately document as well. For this day, it is longing and lost love that preoccupy me. Missed opportunities in the thousands. Learning, expansiveness, and bonding missed out on. Possibilities lost. Music unsung. Poetry unspoken, unheard, and never created. Rui’s abduction is a torment of the human spirit. It is now and forever, never to be assuaged. Aaron Schuster, The Trouble with Pleasure: Deleuze and Psychoanalysis. MIT Press, 2016. Brian, I am with you Brotha’! My Samantha was abducted back on November 10, 2008…almost 8 years ago (http://wendysamanthacoroneltenorio.org/). Since then her mother has ran from authorities 11-times! Now she is a fugitive and a bail jumper. If I may offer you a couple things to think about: you are an inspiration. The hair on my arms stood on end reading this post. I am living this hell as well. Reliving the horrors publishing posts is 1 part torture and 2 parts therapeutic. In the end, your son will find this and understand what has really happened to him and to you. That along is what keeps me going…knowing one day…Samantha will know the truth. Let’s face it, truths as ugly as what we have faced, can never be buried. Feel free to contact me directly if you’d like to talk offline. Thank you friend. That means a lot to me. I will look at your website, and tell other parents about it. We’ve all got to support each other. This is beautiful. The Prager-Eaves think about Rui all the time & wonder how he is doing, and the senseless tragedy of his growing up without a father.